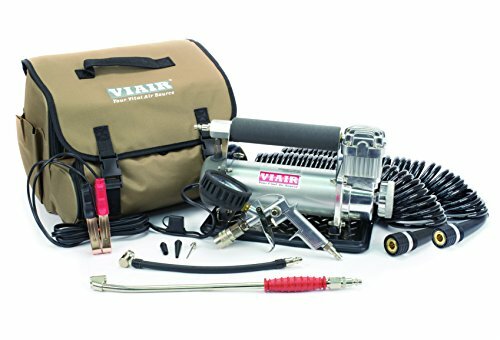 450P-RV Automatic offers an automatic shut-off function in a larger portable compressor. This 100% duty cycle unit is capable of pressures up to 150 PSI and can be operated for up to 40 minutes at a time before needing to be rested. The 450P-RV Automatic comes with a close-ended gas station-style air gun for added convenience.